If Disney Junior is on repeat at your house, then you know who Doc McStuffins is. 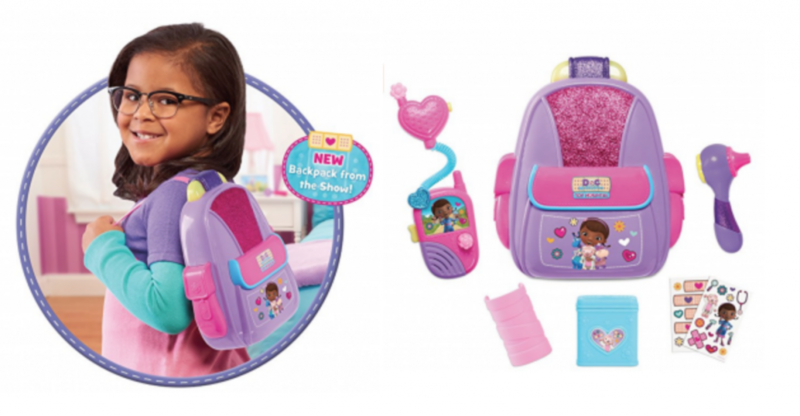 If you have a fan at your house, snag this Doc McStuffins Just Play First Responders Backpack Set for just $10.89! (regularly $19.99) Even if you don’t, snag one for you gift closet. Keep in mind, Amazon pricing can change at any time! Don’t wait to purchase this deal or it might be gone when you come back!